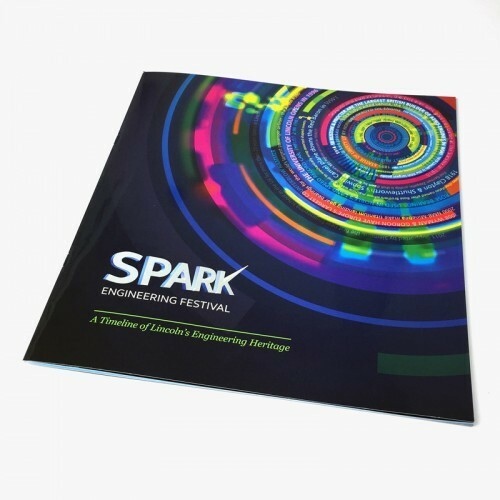 Optima were incredibly proud to be involved with the SPARK! Engineering festival - a three-day celebration of all that is glorious about the city’s engineering past, present and future. 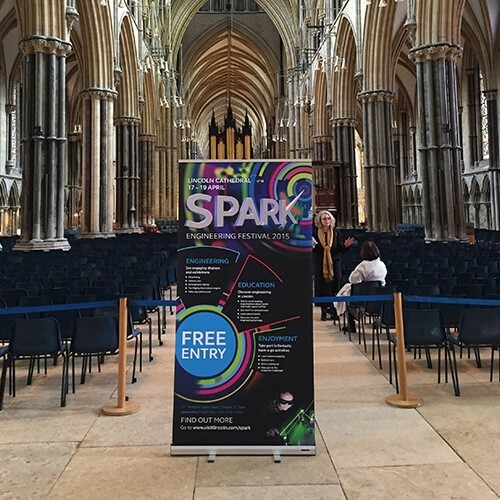 The exhibition offered an array of amazing activities and exhibitions, ranging from a giant pendulum hanging internally from the central tower of the Cathedral to racing cars, robots, a rocket suit, lasers and a model tank. Lincoln-based engineering giants such as Siemens, Dynex and NMB-Minebea exhibited, along with a host of other engineering companies and education institutions from the city. 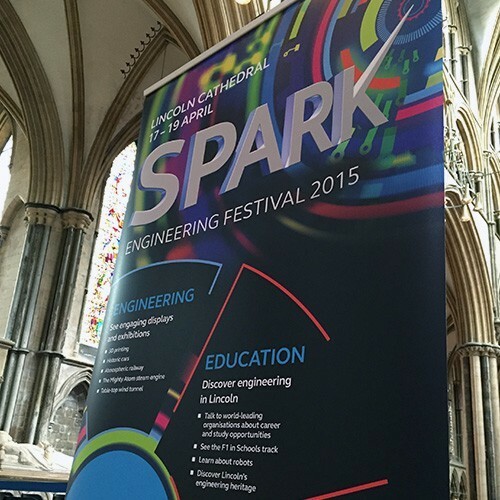 The aim of the event was to create more awareness of engineering and to celebrate the engineering achievements made in Lincoln. It aims to inspire young people to consider engineering as a career and show them how to do it. Hands on activities included a Scaletrix challenge, building wind turbines, VEX robotics ring, using K’Nex, balloon powered cars and testing propellers in a wind tunnel. 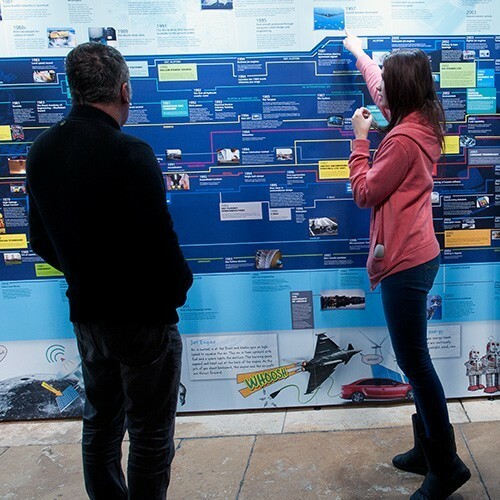 Many fascinating facts about Lincoln's engineering heritage were highlighted and displayed through a specially created, gigantic timeline. The 50ft long exhibition display detailed the history of engineering, how it has impacted the world and how Lincoln has had a vital part in it. 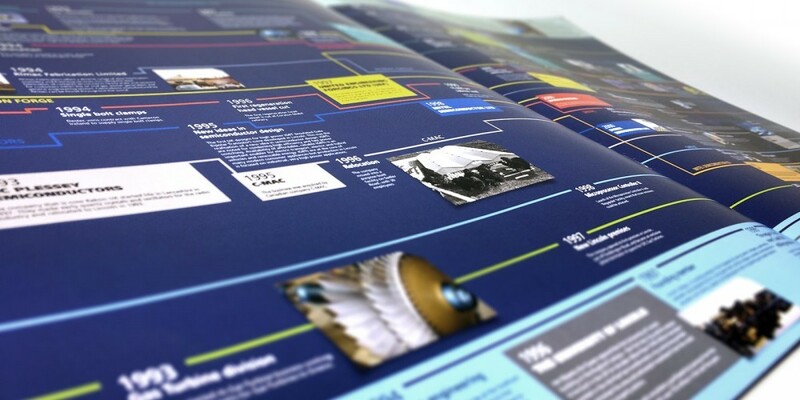 The engineering timeline was researched, designed and produced by Optima to chart the city’s engineering history from the Romans to the present day. Optima also produced the display as a printed coffee table book which could be purchased at the event. 1311-1594 - Lincoln Cathedral was the tallest structure in the world. 1877 - Joseph Ruston persuaded a group of Lancashire businessmen that a ship canal from Liverpool to Manchester would be an economic viability if Ruston-built mechanical excavators were used for the digging. 1880 - Robey & Co‘s Globe works was the first factory in the world to be lit by electricity. 1870 - Robey & Co. made the world’s first rubber-tyred road vehicle. 1881 - William Rose of Gainsborough created a tobacco-wrapping machine that made tobacco the first product to be mechanically wrapped for sale. 1895 - A Hornsby-Akroyd oil engine provided power for lighting the Statue of Liberty. 1905 - Hornsby & Sons produced the world’s first fully-tracked vehicle – nicknamed by the workforce ‘Caterpillar’. The patent was later sold to an American company now called Caterpillar. 1910 - Lincoln College held the first ever part-time classes of engineering apprentices - the first in the country. 1914 - WM Foster & Co. developed and produced the first military tank. All modern tanks are descended from these Lincoln-made machines. 1914-18 - Ruston & Proctor were the largest British builder of aero-engines in WWI. 1918 - Clayton & Shuttleworth made the Sopwith Camel plane B7270 flown by Canadian Roy Brown who was officially credited with the downing of the Red Baron in WW1. 1938 - Cadbury’s Roses chocolates are named after Rose Brothers of Gainsborough who developed the first machine capable of wrapping multi-shaped sweets. 1939 - Rose Brothers created the Rose Turret used on the Lancaster bomber. 1970 - Rose Bearings sponsored James Hunt, Formula 1 motor racing legend. 1983 - Rose Bearings were used in Richard Noble's land speed record car, Thrust 2. 2000 - NMB Minebea make titanium landing gear bearings for passenger airliners such as the Airbus A380 – the world’s largest passenger airliner. 2008 - Wyman & Gordon have Europe's largest counterblow hammer and make parts for Rolls Royce engines, including the Trent 1000 engine for the Boeing Dreamliner. 2011 - Supported by Siemens, the first new Engineering school in the UK for more than 20 years opened in Lincoln. 2012 - NMB Minebea supplied 500 bearings as an integral structural part of Louis Vuitton’s recently opened foundation building in the Jardin d'Acclimatation in Paris. It has been widely acclaimed as a state of the art architectural masterpiece. 2015 - ITP Engines estimates that within the next 20 years, it will reach a 50% share of the wide-body and 45% of single aisle aircraft market, meaning over half of all airplanes will fly with ITP low pressure turbines.